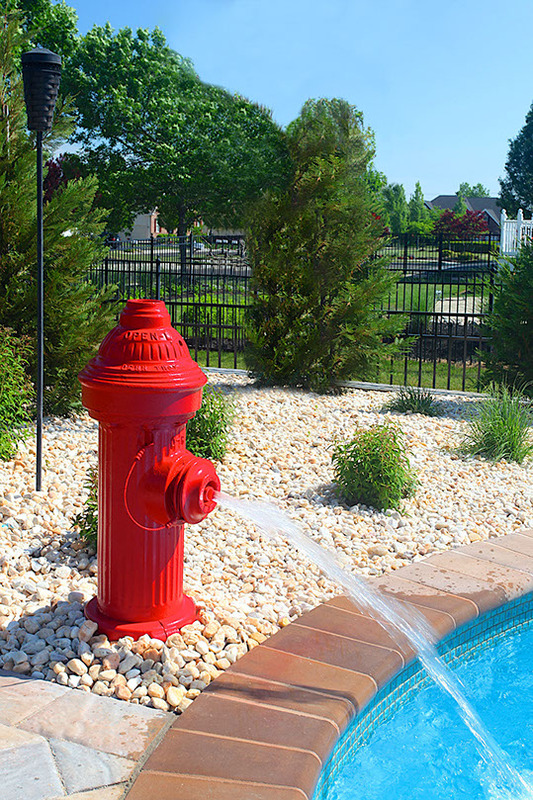 This Yardley, PA freeform pool features a unique Fire Hydrant that shoots water into the pool. 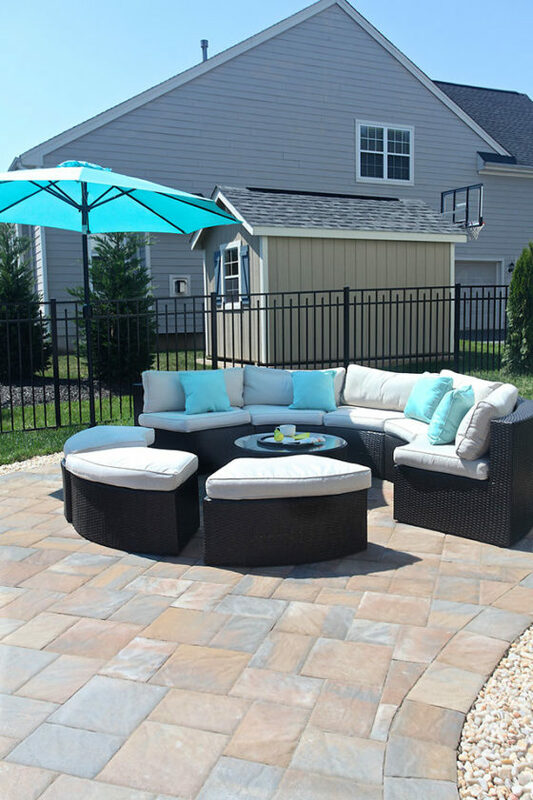 Privacy plants and trees were placed to screen out the surroundings. 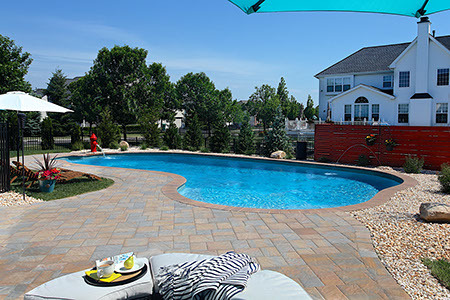 The pool deck is large for entertaining guests, and sod was laid down to form a large grassy area of the lawn.